OK, so I don’t have my muslins done yet. But I did leave work quickly at 6 this evening to get to Fabric Outlet before they closed. With 30 minutes to go, I rifled through their bolts of cotton twills and linens. I used up my limit of five swatches in search of a fabric/color selection for the second pair of pants in the Breakfast Club Wardrobe. Herewith are the candidates, and my final selection. 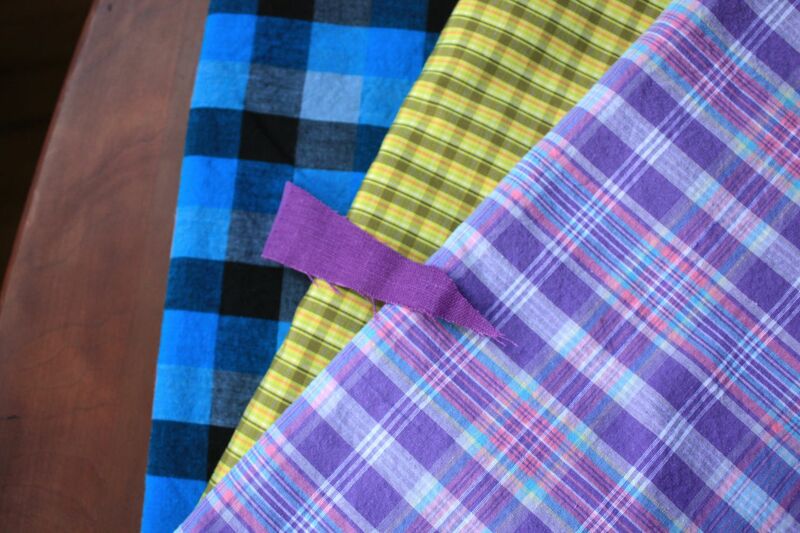 This purple linen looks smashing against the yellow and blue fabric. Against the purple shirting, it’s too matchy-matchy, but would have made a strong impression nonetheless. This entry was posted in Fabrics, Project Planning, Wovens and tagged mccalls-6613 on July 1, 2014 by mportuesisf. Hello everyone! I hope your holidays have been peachy keen so far. In the midst of the unbelievable San Francisco Black Friday shopping crowds, I stopped at Britex Fabrics to check out their 30% off Black Friday sale. 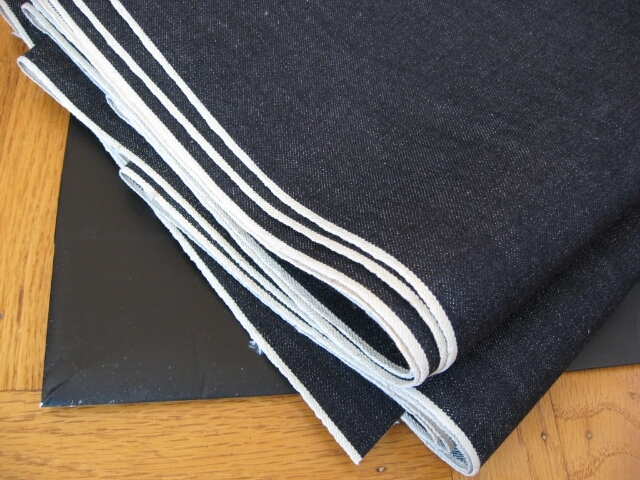 I scored four yards of 32-inch wide Japanese-made selvedge denim at $13/yard (after discount). This will be a future ‘hipster jeans’ project. This entry was posted in Pattern Alteration, Shirts, Wovens and tagged kwik-sew-2000 on December 1, 2013 by mportuesisf.